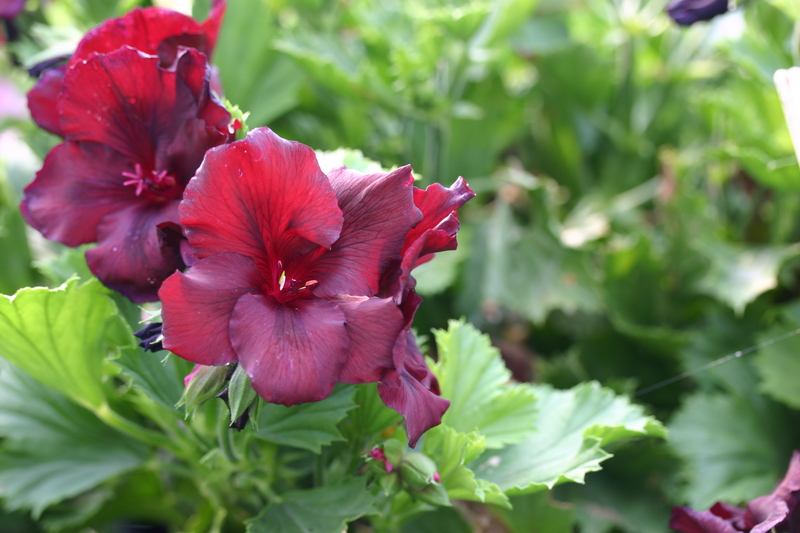 Regal Pelargonium. Perhaps the best black regal. Perfect, slightly irredescent, large, uniformly black flowers. Good, clean deep green foliage. Compact. Ht. 35cm. Sp. 35cm.